Note: this was a book-of-the-month read for my Goodreads Great Middle Grade Reads group. I'm not sure if the book is always free or if the author made it free for that event. In the buzzing city of New York, 12-year-old Gabriel Scott retreats from his parents' constant arguing into a virtual world of adventure and companionship. Unfortunately, as summer comes along, his parents ship him off to Kenton Woods to stay with grandparents he hasn't seen in years. Trapped in a world of small town life, Gabriel suddenly finds himself cut off from the only friends he ever had when he discovers that his grandparents don't even own a computer. After sulking in the house for a few days, his grandfather drags him outside and Gabriel takes his first steps into the real world. Gathering all his courage, he talks to Liam, their neighbors' son, who hands him a small sheet of paper and asks for his help. From that day on, Gabriel follows Liam and his friends on a treasure hunt across town. With the entire school on their heels, they rush to solve riddle after riddle, slowly closing in on that which no one has ever found before. Along the way, Gabriel meets the head-butting twins Jack and Jordan, their dog Cat, the insane story-teller Eddie and Hannah, a young girl locked up in her room. Hand in hand, they work to help Hannah escape and take her along on their adventure. Having spent her entire life cut off from the rest of the world, Gabriel finds a kindred spirit in the red-haired girl with the glowing eyes. But one day, a secret Hannah has been carefully hiding from the group rears its ugly head and threatens to shatter Gabriel's new life and the place he thought he'd finally found in the world. (That summary is kind of long, but it does outline the story nicely). I found this a beautiful story, with a nice balance of humor, adventure, puzzles, and pathos (I mean that last in a positive way). In a sense, it's a coming-of-age story, as Gabriel and his new friends not only learn to work together but Gabriel learns to deal with some hard life issues. There were a few glitches with the writing and formatting, but they did not prevent me from feeling that this was a beautiful and beautifully written story with a wide appeal. About those glitches: of no great significance was a problem with hyphenation, where apparently hard hyphens got into the text, so that words were divid-ed in random places on the page (since my line breaks obviously didn't match the originals). That was a minor distraction. A larger distraction for me, and the reason this will get 4, rather than 5 stars on Goodreads (4 being "I really liked it" and 5 "it's amazing") was that the dialog at times felt a little stilted to me. Since I'm in the midst of editing, and dialog/voice is part of what I'm focusing on, I am probably more sensitized to this than the average reader. For the same reason, I also dug around to see why I was bothered. The answer I found was pretty simple: the characters didn't use enough contractions. It's not all the time, and I'll accept it--sort of--for Eddie, who is supposed to talk like his lawyer parents. But I stumbled early on when, for example, Gabriel's mother is speaking: "But that is over now. Everything is fine. This is not about us...We are just doing what's best for you." There are other places where a similar tone shows up. Sometimes it looks like it's meant as emphasis, but...like I say, I'm a bit sensitive to it right now. Probably my only other concern is that in the early part of the book we spend a lot of time immersed in Gabriel's fictional world--the one in his computer game where he spends most of his time. In the early chapters it's a big enough part of the the book that I found myself wanting resolution for the adventure going on there, too. But Gabriel loses interest when the real world becomes a place worth staying in, as he should. I just wish I hadn't been quite so drawn in to that alternative story. Perhaps the author will return to this in the next book, as this does have a sequel. For this book, I could actually have happily started the story when he gets to his grandparents' house. Despite my kvetching, I can recommend this for kids from about 9 up, and I think adults will enjoy it too. 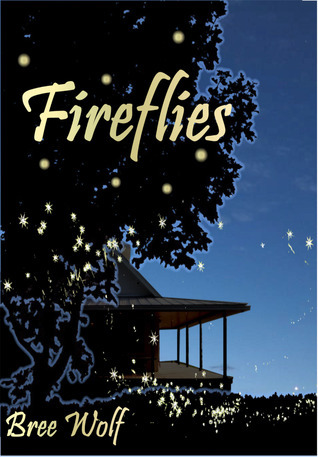 Full Disclosure: I downloaded Fireflies as a free book from Smashwords, of my own free will, and received nothing from the writer or publisher in exchange for my honest review. The opinions expressed are my own and those of no one else. I am disclosing this in accordance with the Federal Trade Commission's 16 CFR, Part 255: "Guides Concerning the Use of Endorsements and Testimonials in Advertising." I've only read the first part so far, but I echo your comment about the video game, and admired the author for fitting a story in within the story. I'm looking forward to finishing the book - which is permafree, btw. Thanks for the info about the book being permafree. Sadly, in the end I don't think the author did fit a story within the story, so as I mention, I'd probably edit that severely if it were in my hands. Is it possible to really like a book and still desperately want to edit many parts of it? I finished reading this last night for the GMGR group read. I did enjoy it, moreso the second half. It brought out some strong emotions for me, as I found that I could relate to parts of Hannah's story, given what I've experienced in recent years. When I read I try to wear a reader's hat, not an editor's hat. It's more pleasant to read with a reader's hat. Sometimes I can't, and sometimes I choose to read with a critical eye so that I can think about what makes writing work--or not. The story itself sounds great and I am looking forward to reading it. 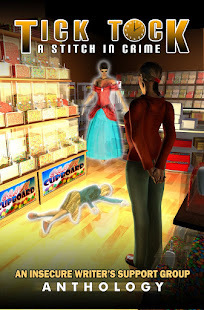 I saw book two, Butterflies, is 99 cents. 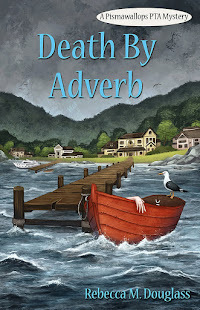 I believe that the author is the only one proofing copy at Smashwords, as with Kindle Direct--it's essentially an ebook self-publishing platform. The automated checker is pretty good, IMO, but hyphens are something that it's not going to flag--though anyone following the style manual will see that they should not be used. On reflection you will probably see what I did--Smashwords distributes to Nook :) But it's not pervasive, and shouldn't be a big problem. It's too bad that the authors don't have a solid group of beta readers with editing skills to consult before publishing. However, if the author uploads to a self-generating program that makes changes, then that is a whole separate issue. Just to clarify, Smashwords makes no changes. It just rejects your MS if it isn't properly formatted. Sometimes it can be frustrating--but for the most part, it results in very clean ebooks that can be read on anything. Obviously, hard hyphens are something it can't reject, as they are at times legit (hyphenated words), and it would be a seriously sophisticated program if it could sort that out! A well-formated MS can still be filled with grammatical errors as well as missing or wrong words. After writing and rewriting we get very close to our work and see what we want. A fresh pair of eyes can really help smooth rough edges. No kidding! The more I write and the more I publish, the more I lean on those external eyes (and the less timid I am about asking for them, which is probably the real issue).